Treat yourself to the taste of Arizona. 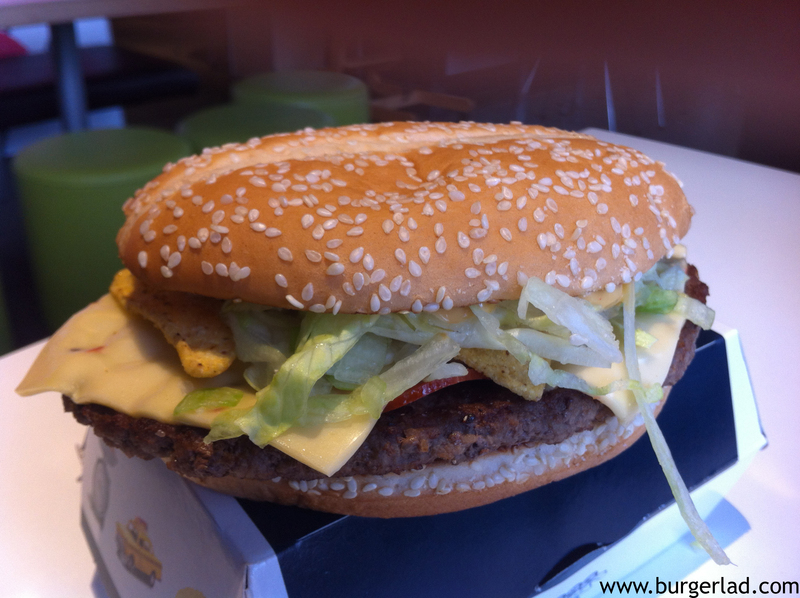 100% beef patty topped with nacho-style sauce, shredded lettuce, pepperoni, crunchy nacho chips and cheese with peppers, all in a sesame topped bun. Price: £3.59 for the burger only. So here we are again on day one of week three of the Great Tastes of America campaign and up next on this culinary tour of the US is the Arizona Nacho Grande. Out of all the limited time offers we’ve had so far on our gastronomic road trip, the Arizona Nacho Grande seems to be quite true to its Taste of the State. Arizona cuisine has been strongly influenced by Native American and Mexican settlers and is closely linked to what is now known as Tex-Mex style of food. 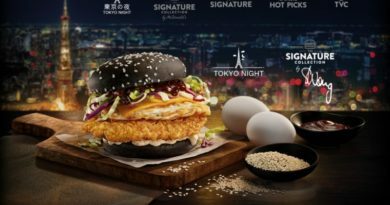 So it comes with mild (or should that be spicy) surprise that McDonald’s on this one, has actually looked at creating something that honours the state. 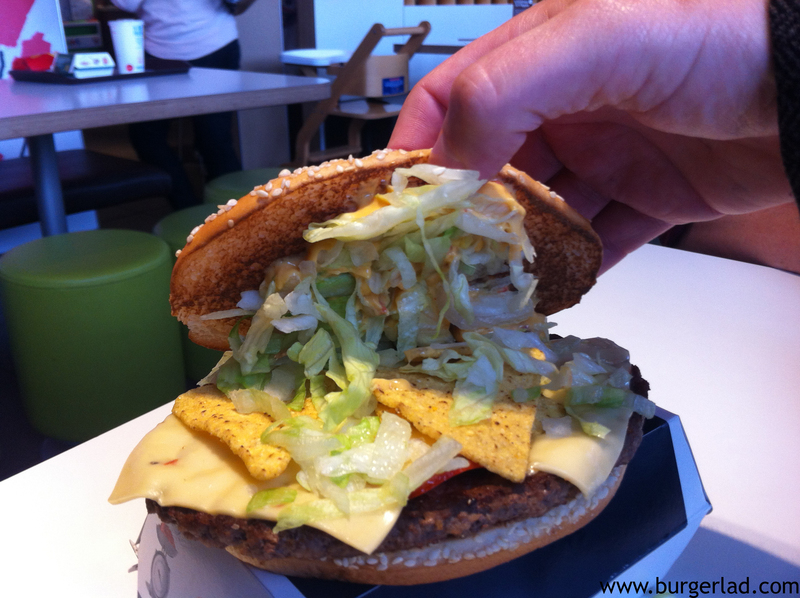 Nacho-style sauce, crunchy chips and a peppery cheese are all on board this Mex-influenced Maccies but how would it measure up to the Burger Lad® treatment? 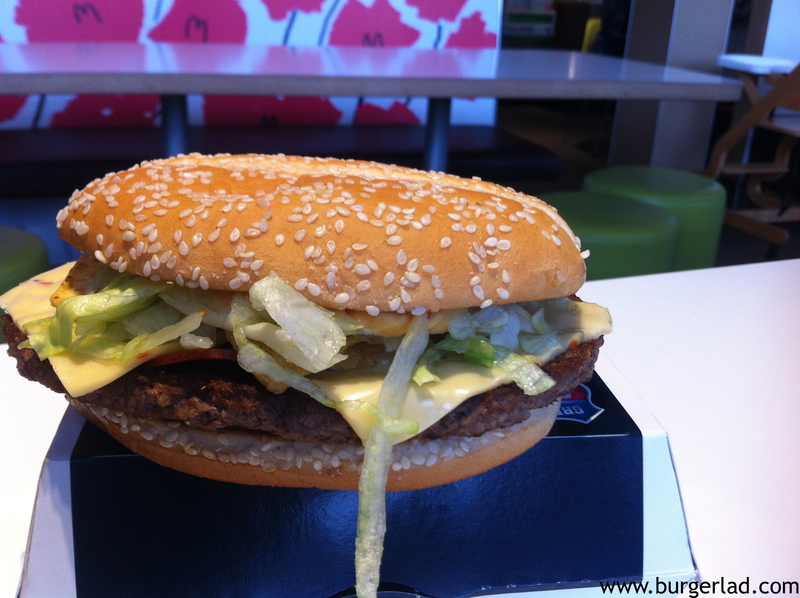 Burger Lad® flew solo on this latest burger escapade knowing that we may not be the first to get our video online. But at Burger Lad® we pride ourselves on having strong production values (after the portrait fiasco of earlier episodes) and will not compromise on quality…or quantity. Anyway, with that said we abandoned the trick of arriving early to beat the hoi polloi and got to our nearest (and dearest) at about 12:15. This tactic proved fruitful as in front of us two blokes took away the Grandes already made up. My associate took one for the team and had the last remaining burger so I could savour one freshly made. 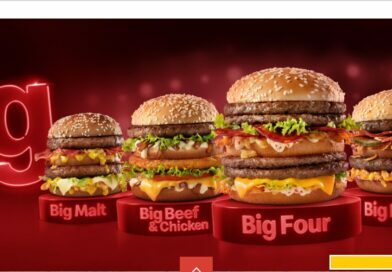 It got me thinking “what would they say if, as a customer, I asked for one to be made up fresh instead of one that had been waiting?” We also saw who we now affectionately call the “Double Big Mac guy” and you can see that adventure here. There was a brief, two minute wait for the girl that had served me to bring my order over. The person with me had already taken his first bite into this latest Taste of America and exclaimed it has a “satisfying crunch”. There has a bit of “burger slide” going on but it looked pretty good on the whole. 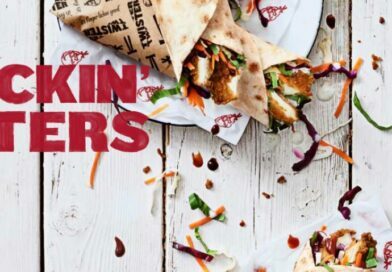 Mine looked good, hot and freshly made with lettuce bursting out the seams. 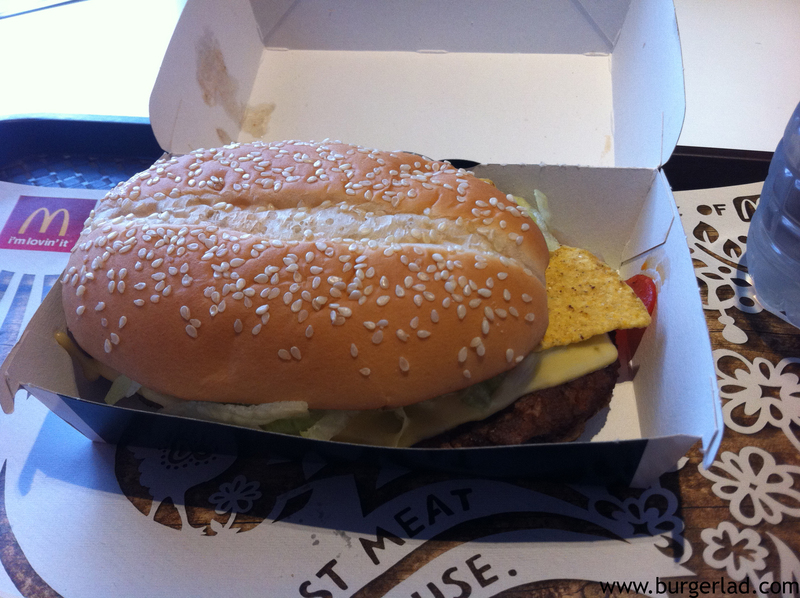 After the latest episode of Burger Lad TV was shot (video below) I took my first bite. The first thing I noticed was the real distinct pepperoni taste and it was pretty darn good. The cheese on this was ace. It’s so good to see a new cheese being added instead of just throwing on the standard American slice for us. The combination of these elements made for a very rich, artery throbbing limited time burger and at 730 calories you’re probably better off not eating many! Otherwise this burger won’t be the only thing that’s grande! 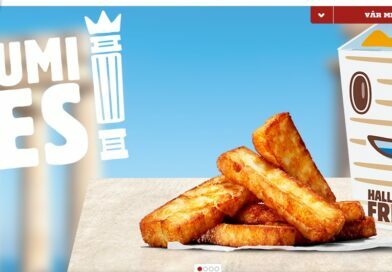 You would think that the nachos shouldn’t work but I can promise you they do (perhaps this is why Burger King Argentina have released the Whopper with Lay’s). They gave it a good, crispy texture to mix it up in your mouth and I could actually pinpoint a ‘dorito-type’ flavour to them. 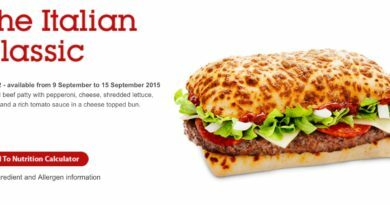 The bun…was fun and the nacho-style sauce we think, shares some sort of close association with that Big Mac Special Sauce. The “patty analysis” revealed some interesting results. I was surprised… well, perhaps surprise isn’t quite the right word… the answers met our expectations as the patty was quite standard but I noticed some light seasoning on it. There was a grand(e) amount of lettuce this time, like I said earlier it was spilling out and it all looked fresh and complimented the richness of the ingredients nicely. 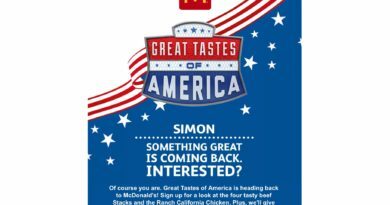 I think overall this is a real good promotional item from the Golden Arches. Each bite packed a pepperoni punch but there has got to be one more mention again for that sauce and cheese. Arizona Nacho Grande? Yes please! As we left McDonald’s you could see quite a few of these black boxes on tables so clearly they are very popular. I’ve noticed more television advertising for the campaign in the last 7 days and I wondered why the promotion doesn’t hit full swing until into week two. 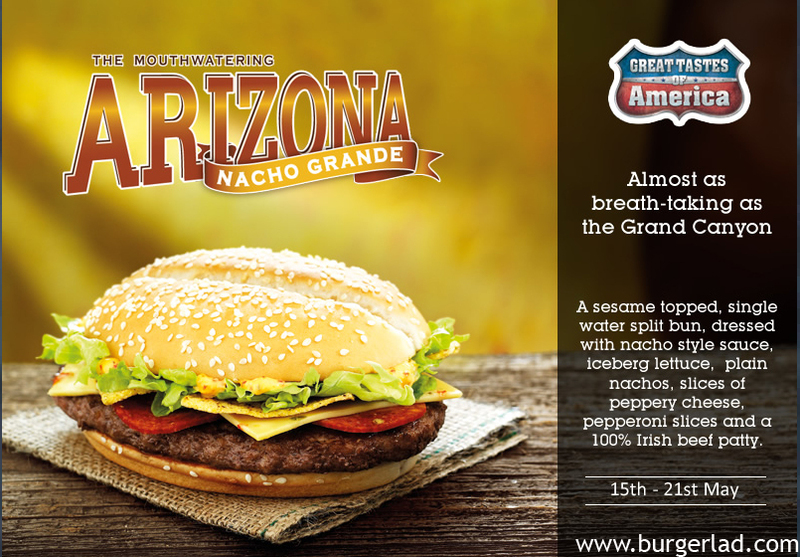 The Arizona Nacho Grande is a good high street burger and reasonably priced at £3.59 and if you are a fan of McDonald’s you won’t be disappointed. Week four is all about the California Melt so don’t miss out when we’ll be back in true Burger Lad ® fashion. 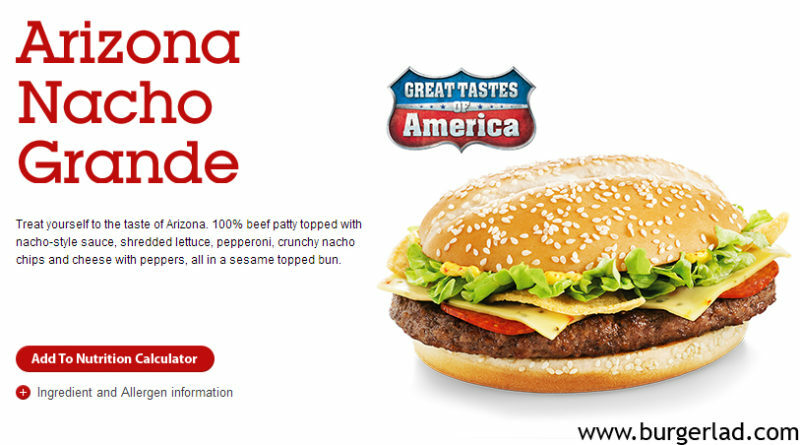 And with that let us take one last look at the Great Tastes of America week three limited time offer. Ive just tried one and thought it was awesome!! 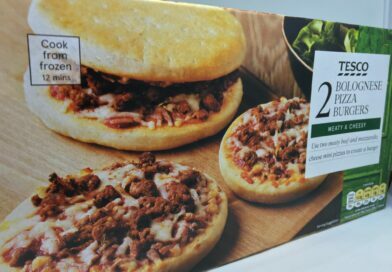 as an american, I always wonder if these companies actually consult americans before they come up with these things… Pepperoni??????? in what universe is pepperoni associated with tex mex? with all the great sausage that comes out of spain (much closer to mexican sausage than pepperoni) I can only ask…wtf?